this book is good. But I would like to get a discount. Most of the portals are giving discount. Great book. Good learning. Liked it very much. Gave to my brother while attending interview and he successfully cleared it! Thanks to the author for the book. I have read other books of the author. Language is simple to understand. Didn`t know these things were necessary for getting a good job. Everyone should get this book. Loved to read it. 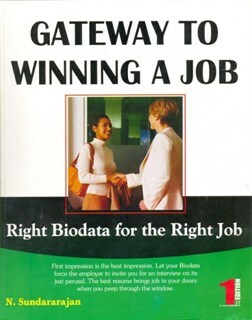 All people aspiring to get a job should get this book. Very useful things about attending interviews, how to talk and present oneself.